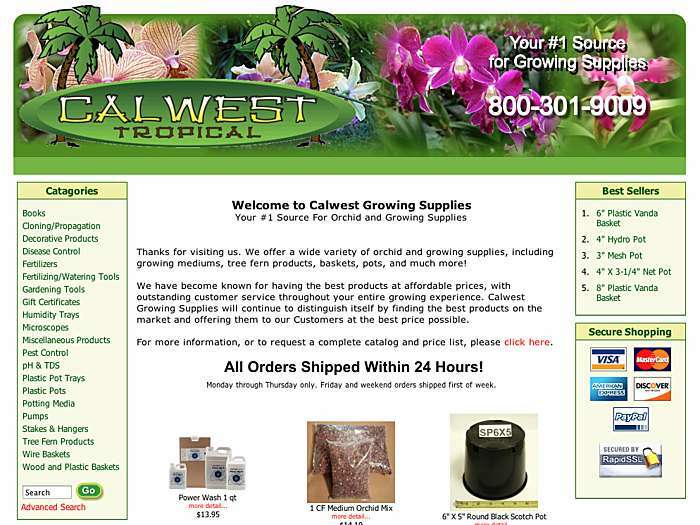 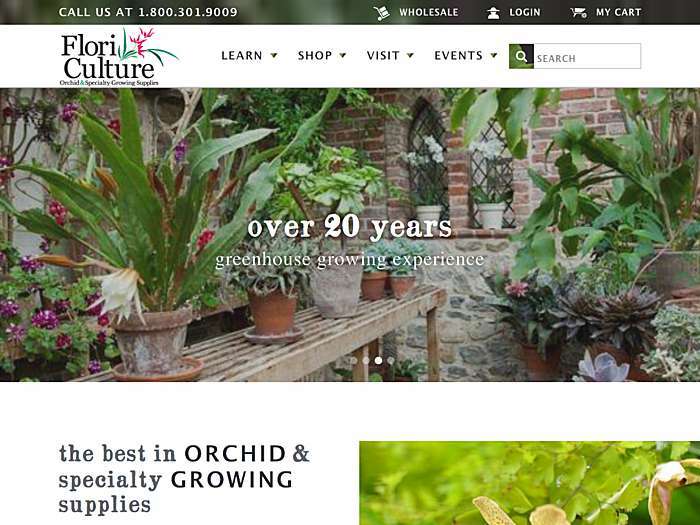 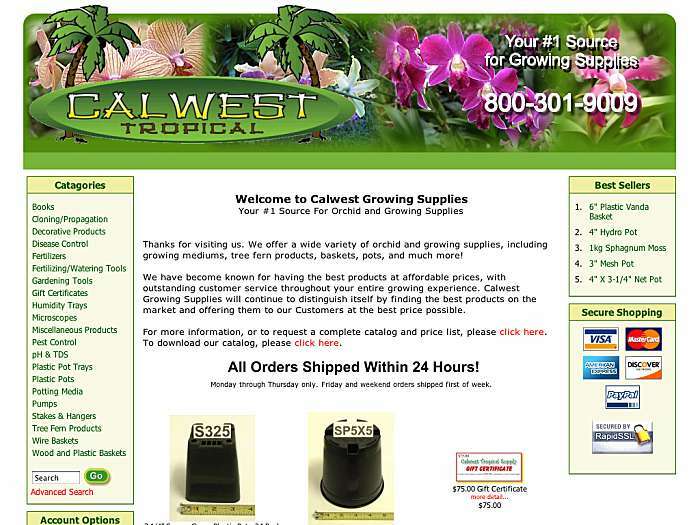 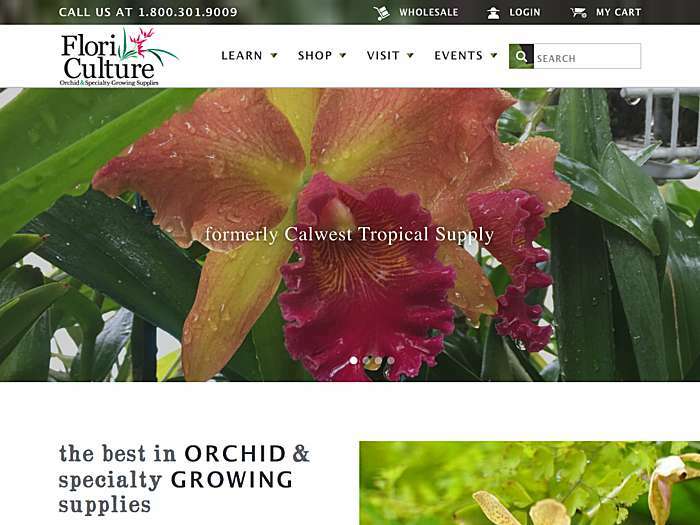 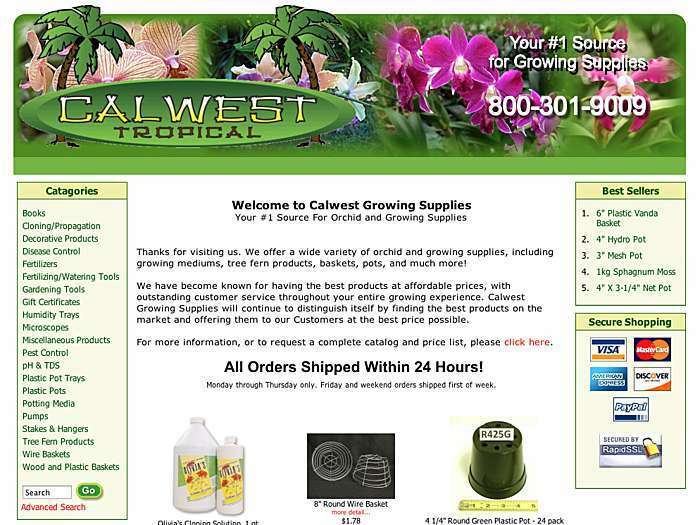 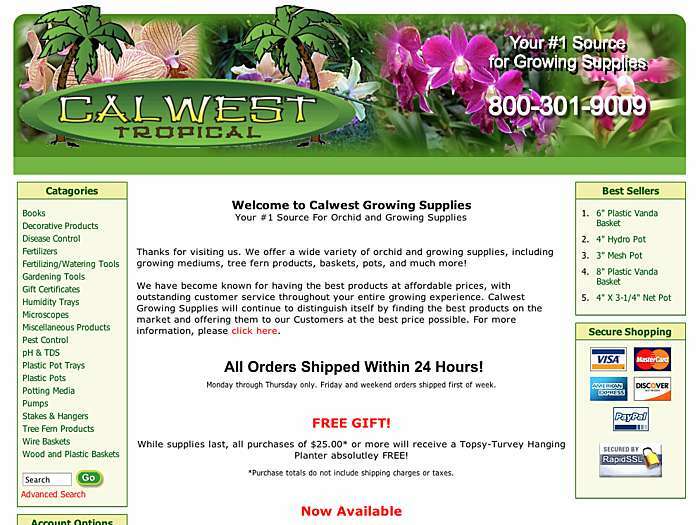 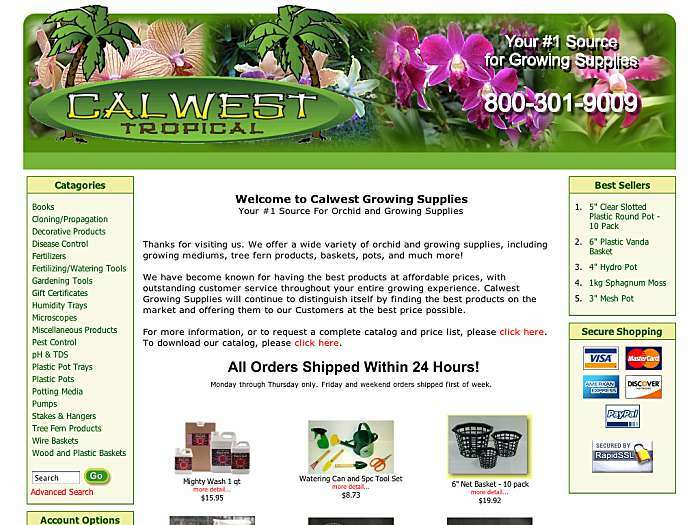 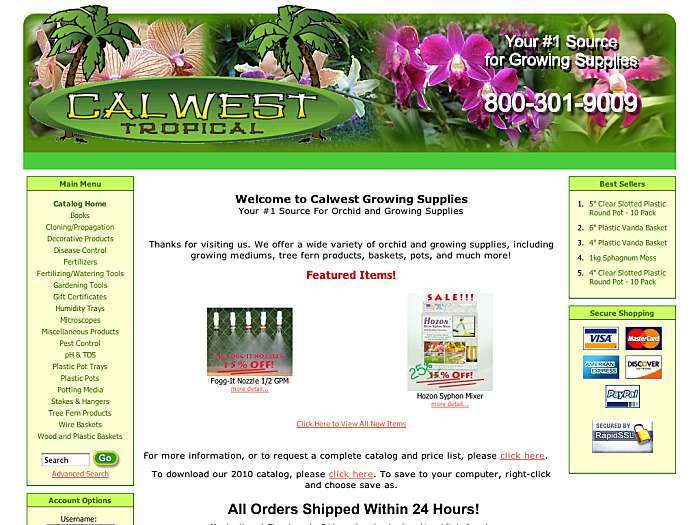 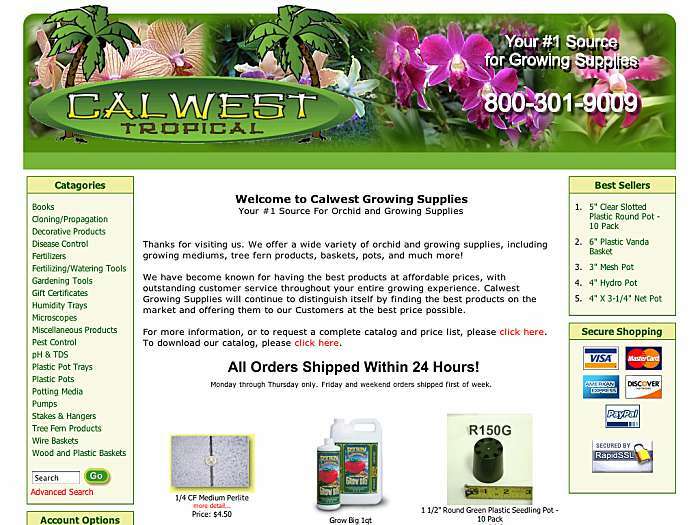 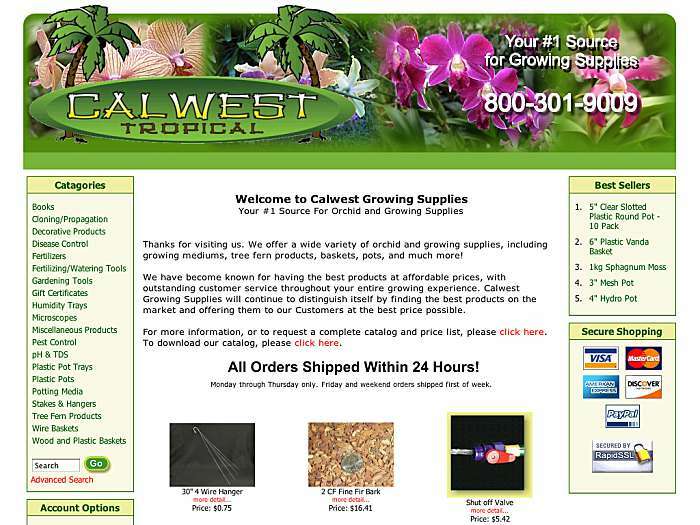 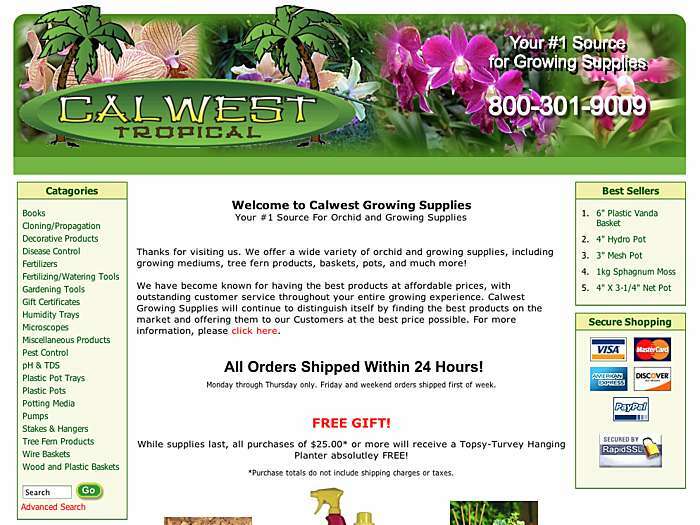 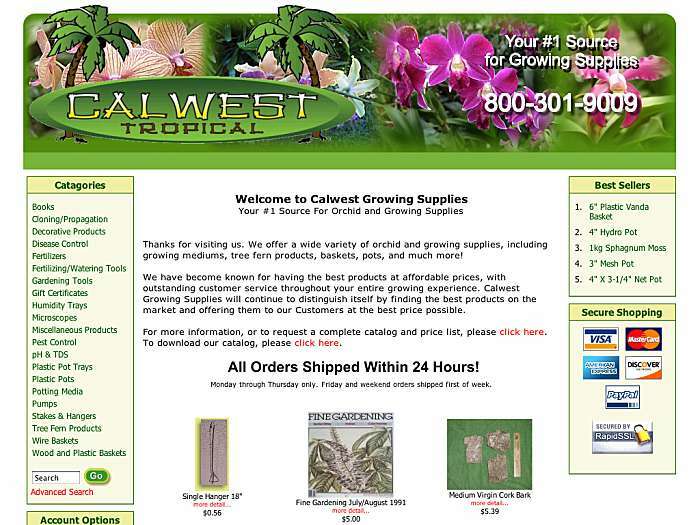 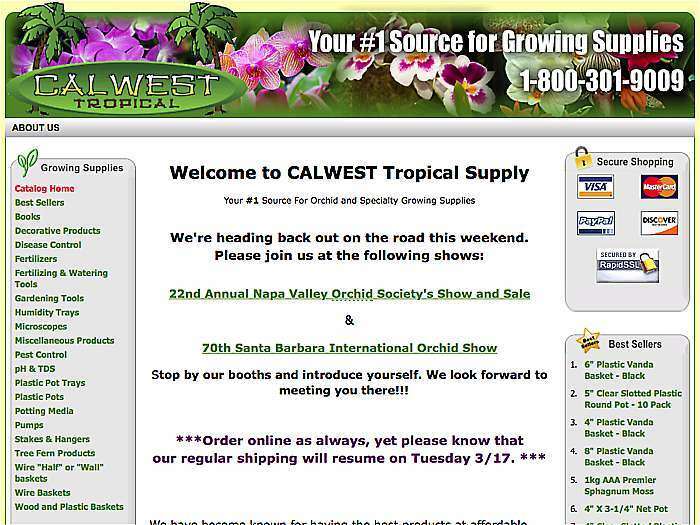 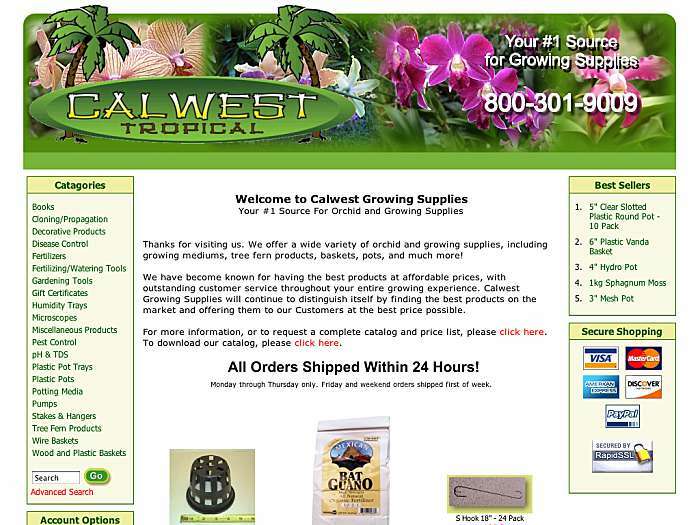 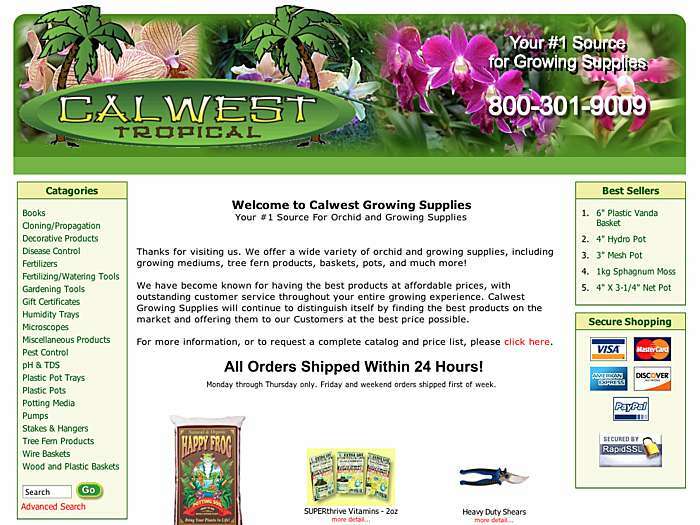 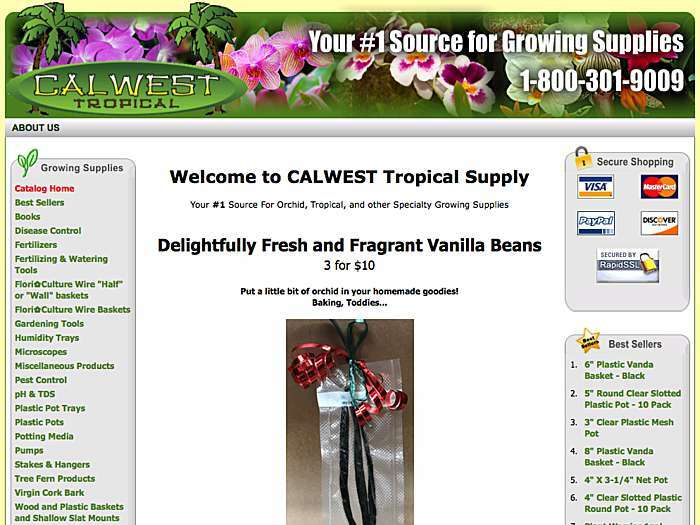 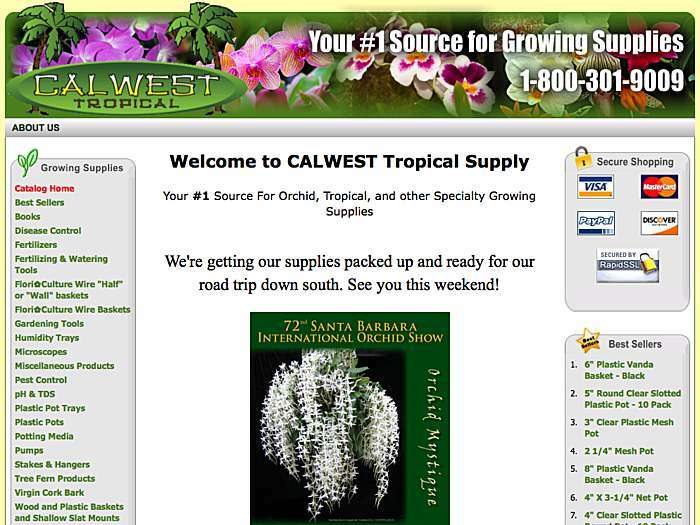 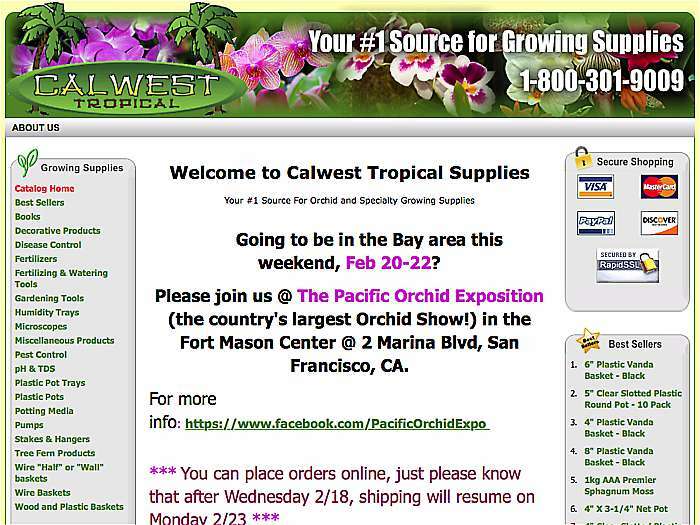 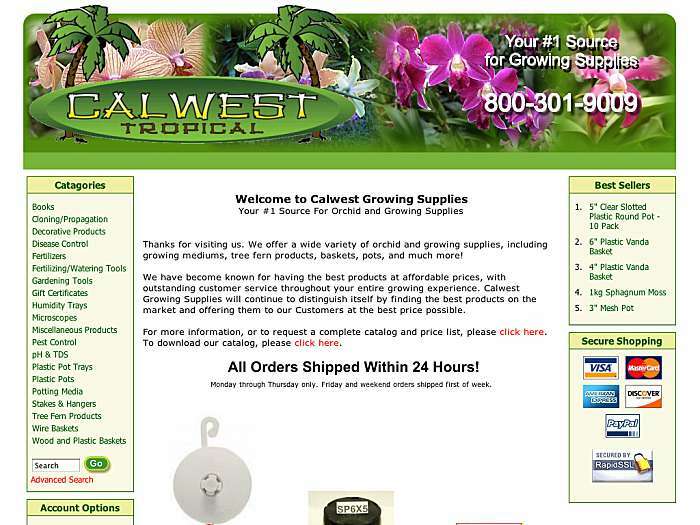 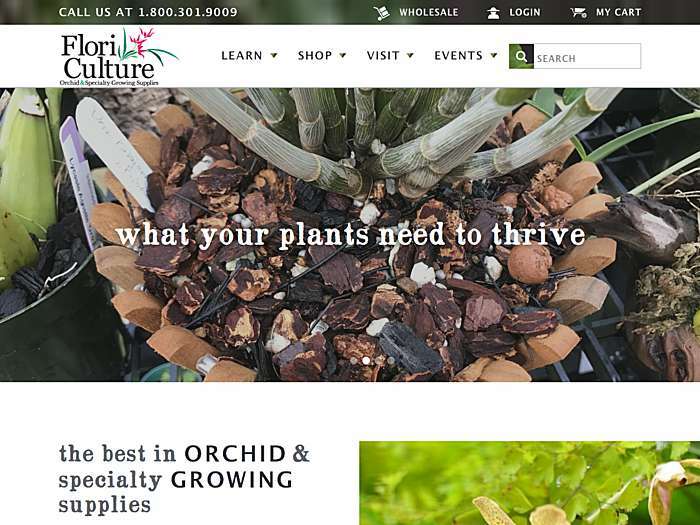 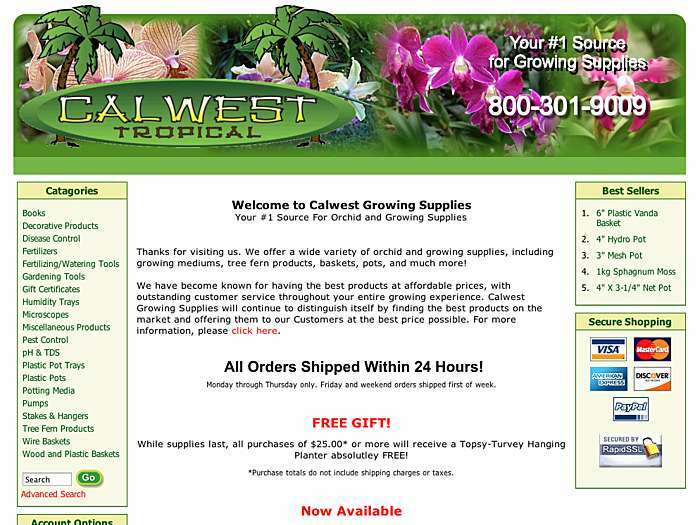 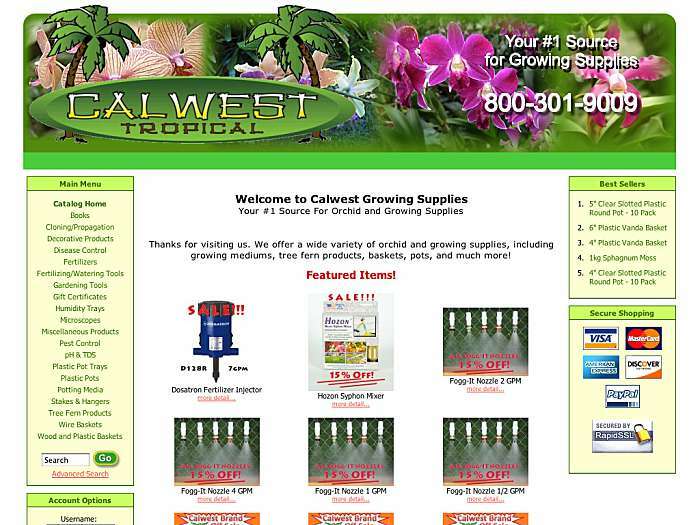 Selection of orchid supplies offered. 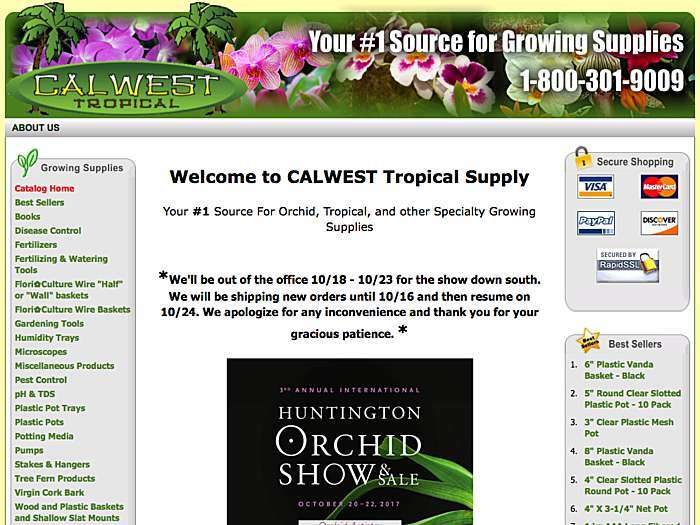 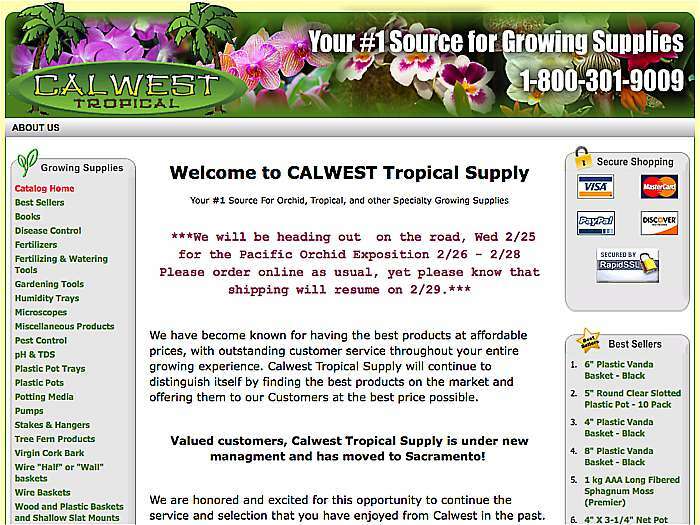 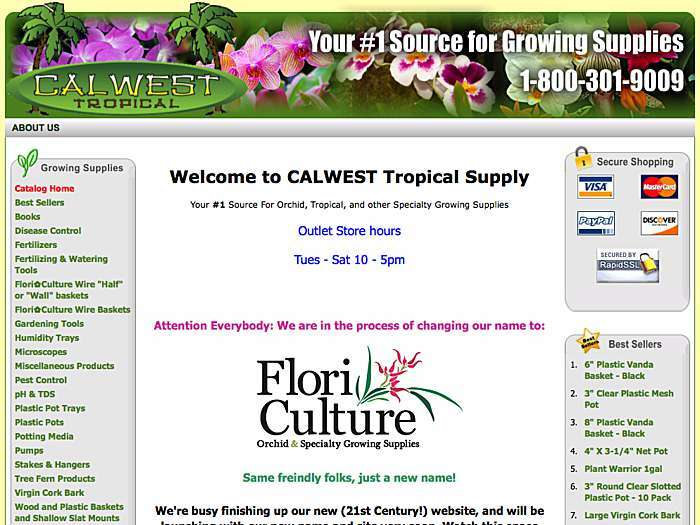 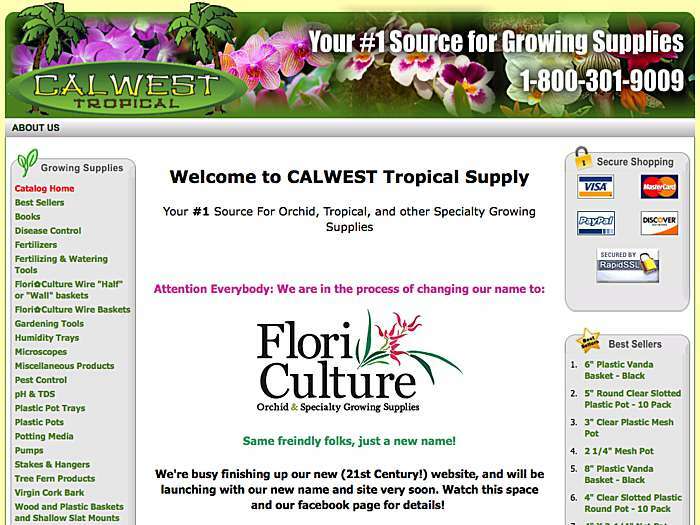 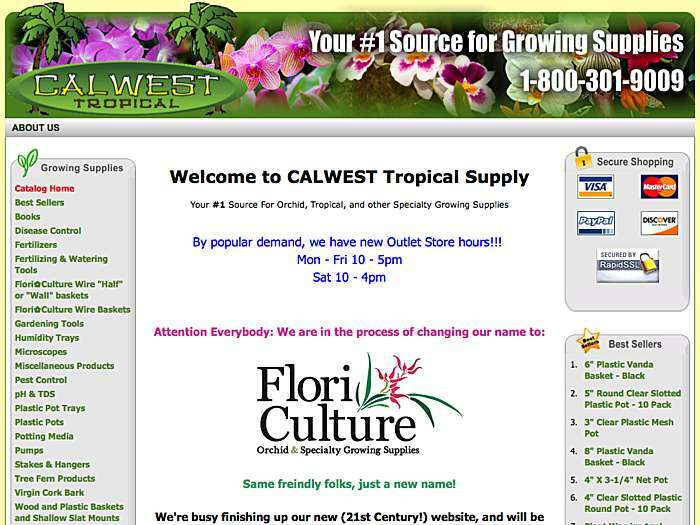 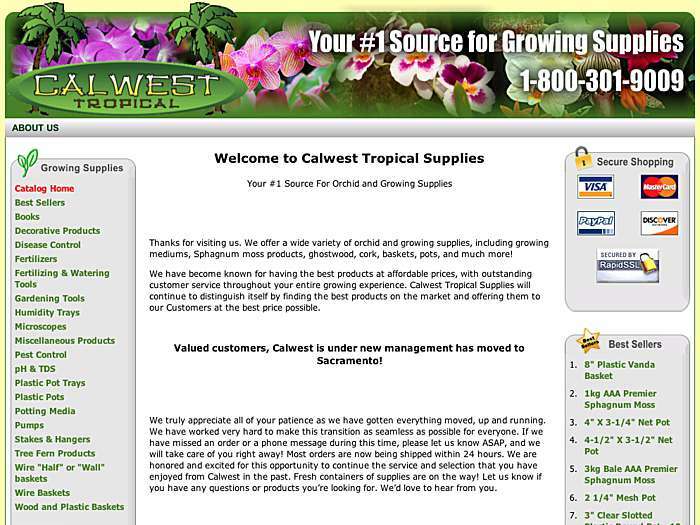 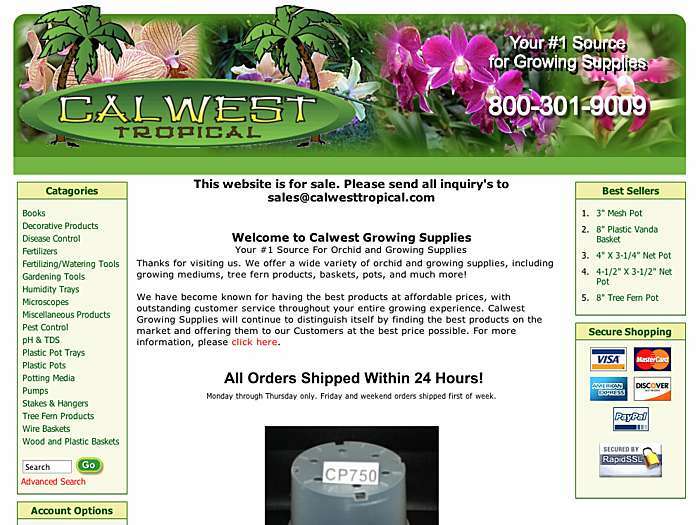 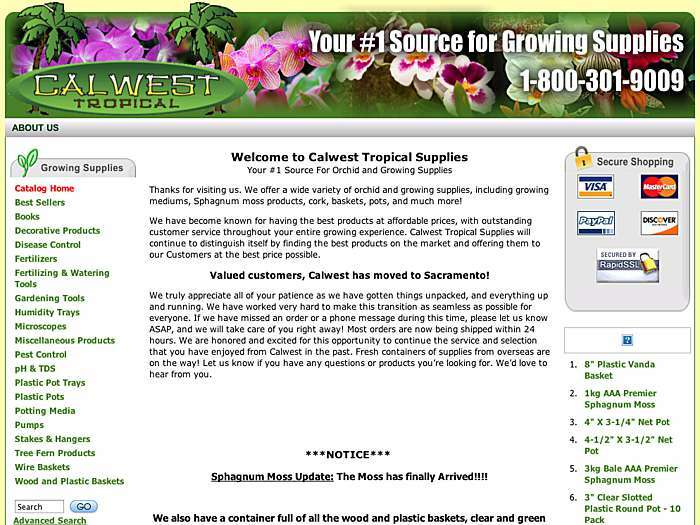 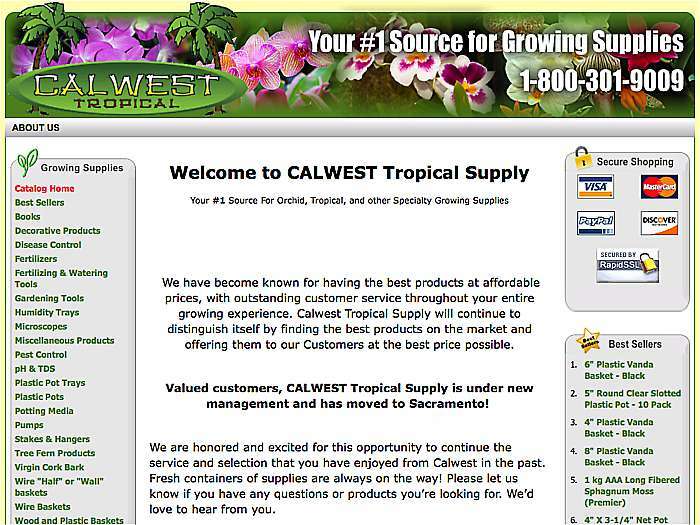 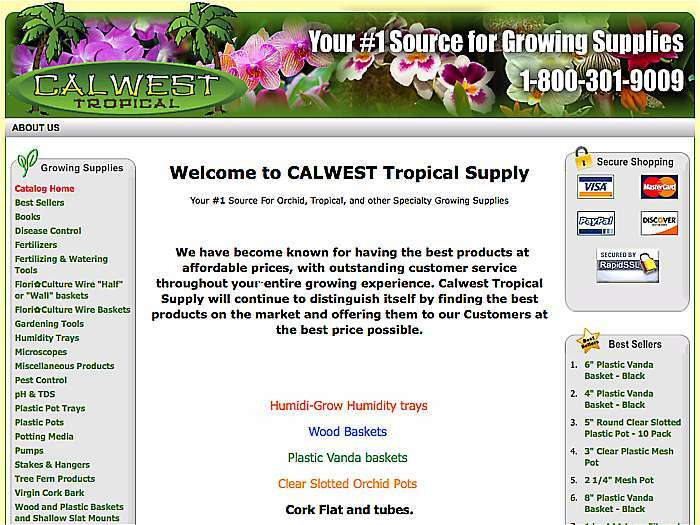 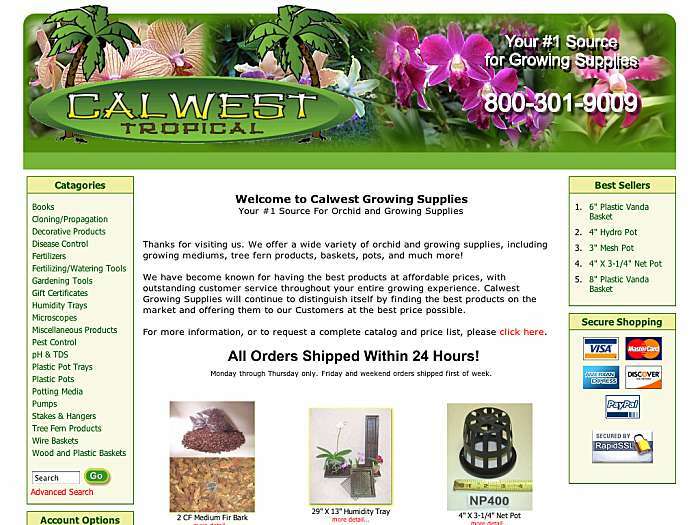 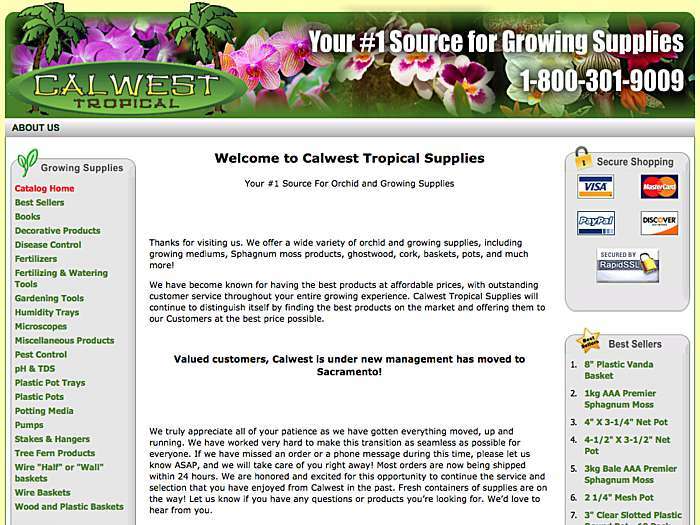 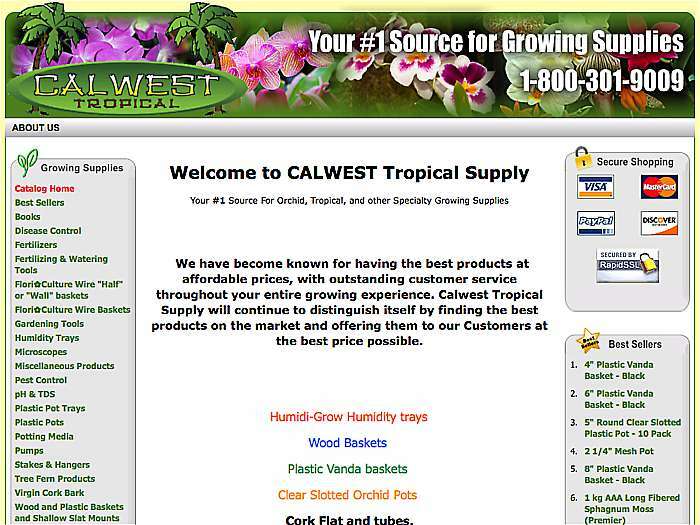 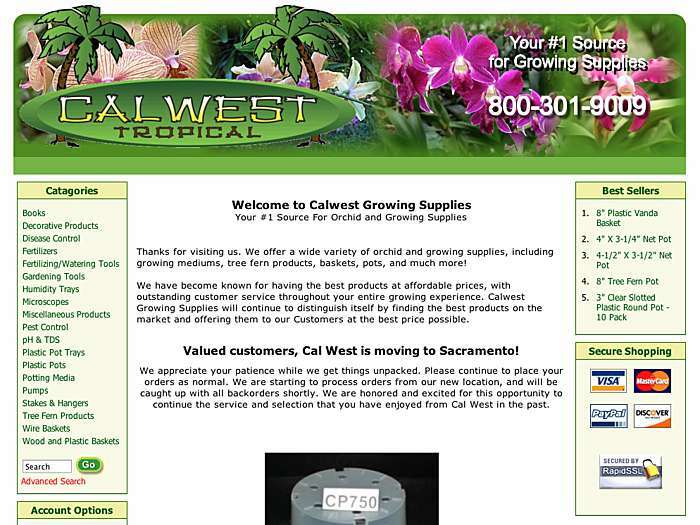 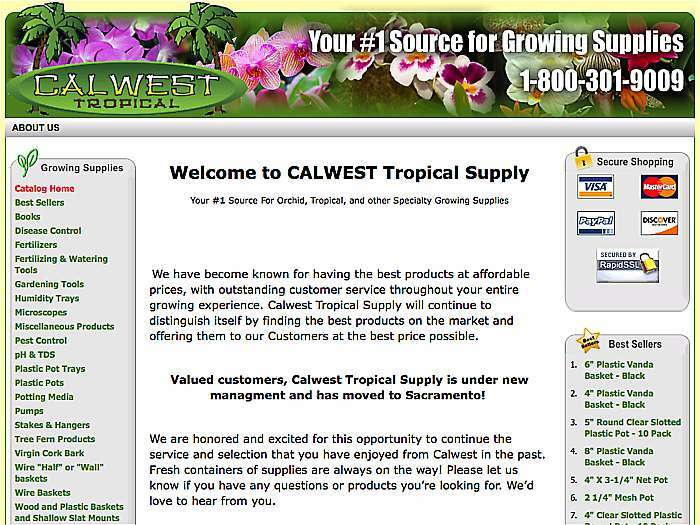 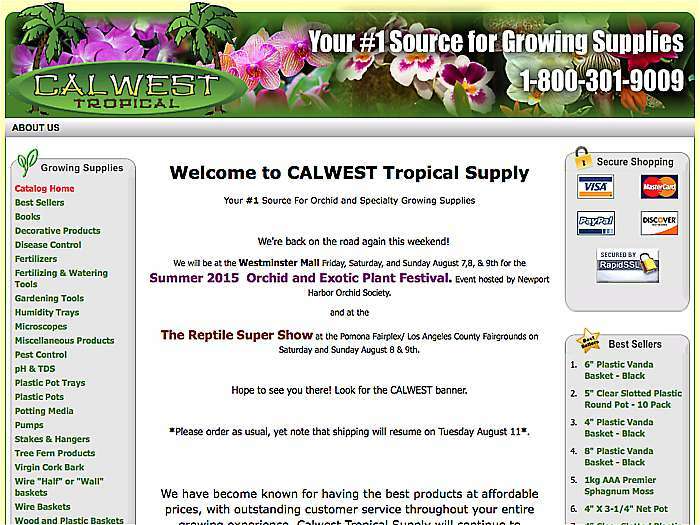 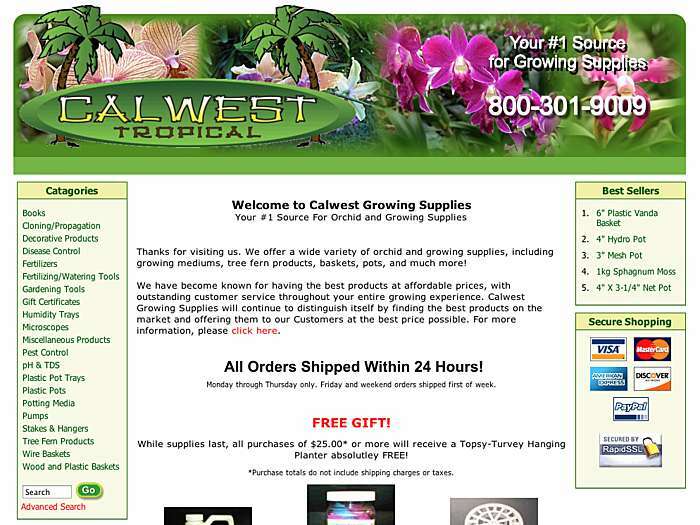 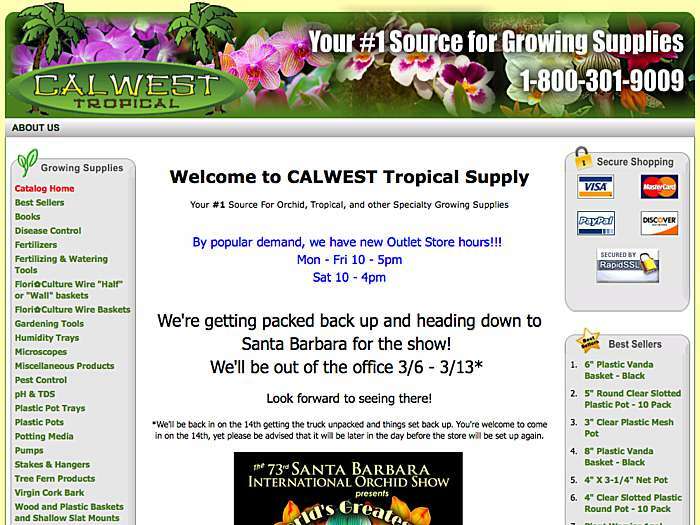 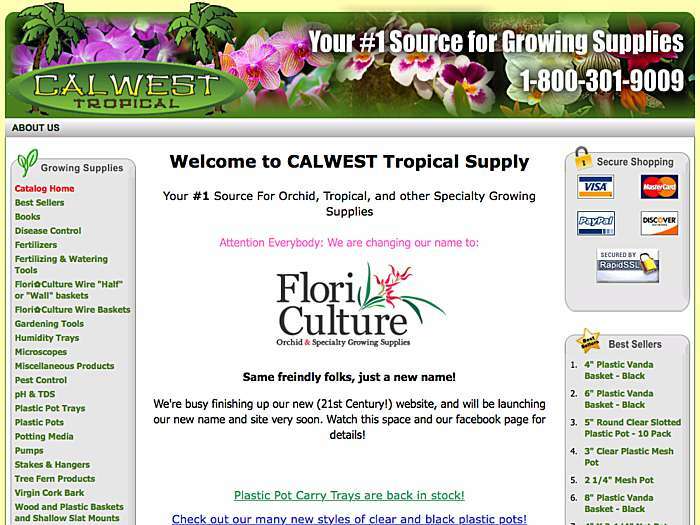 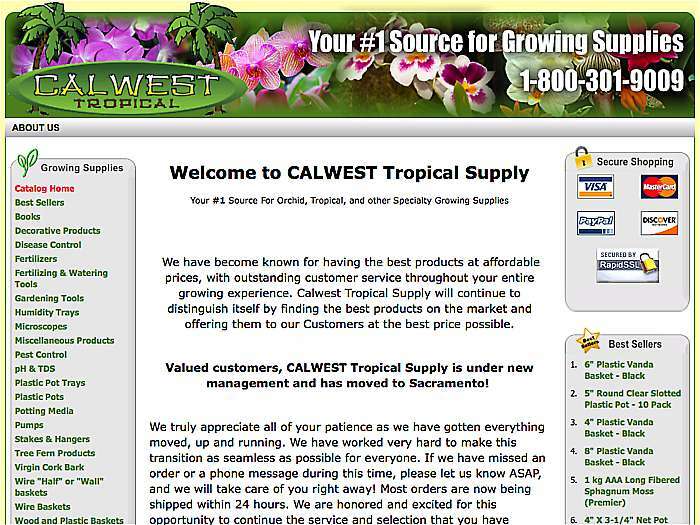 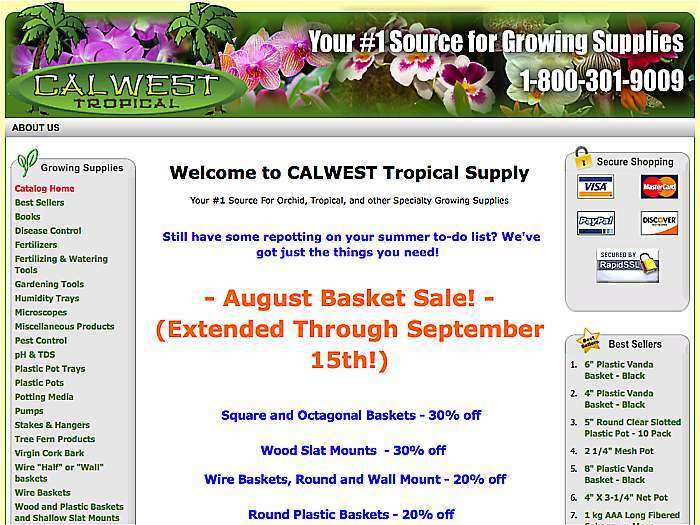 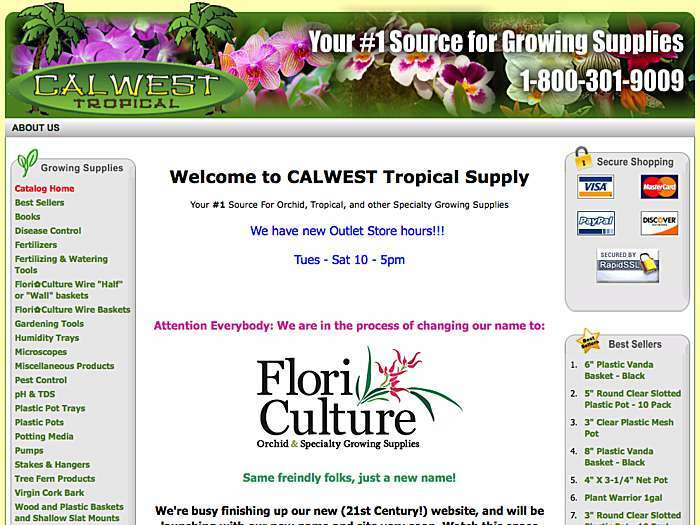 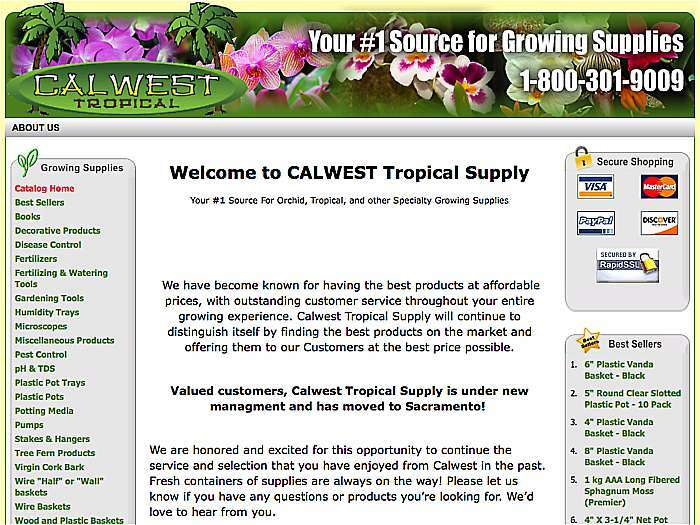 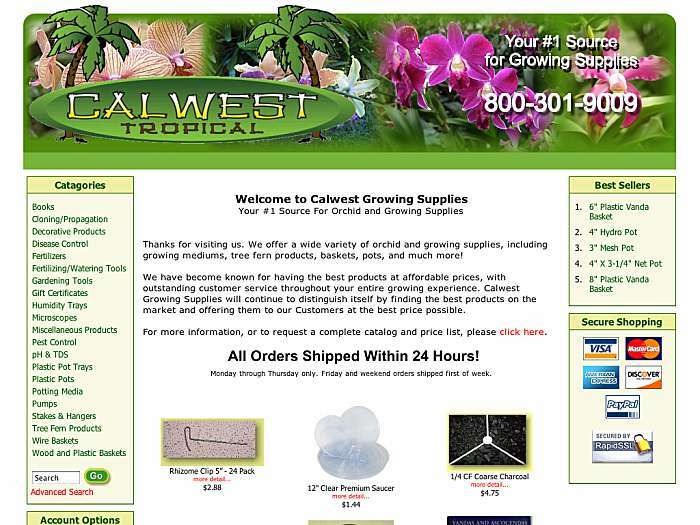 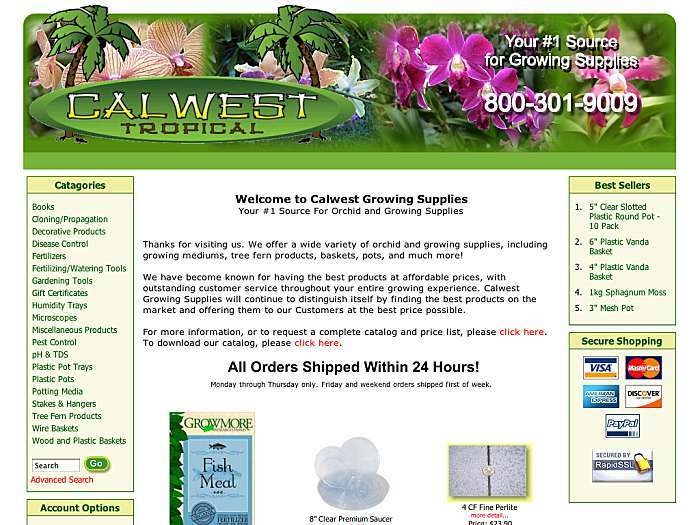 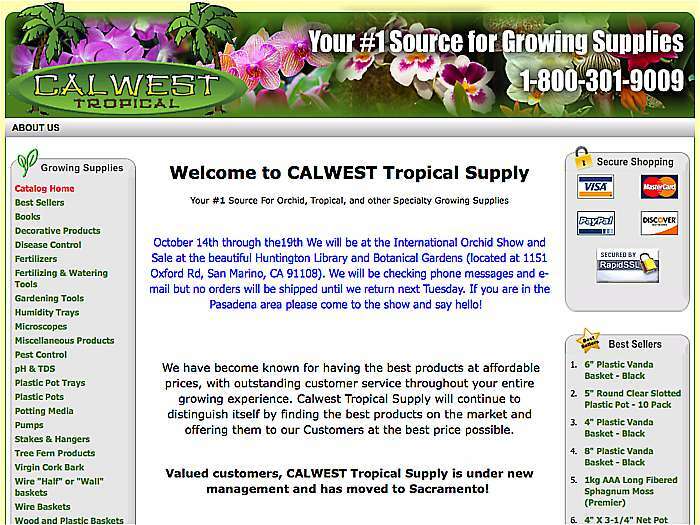 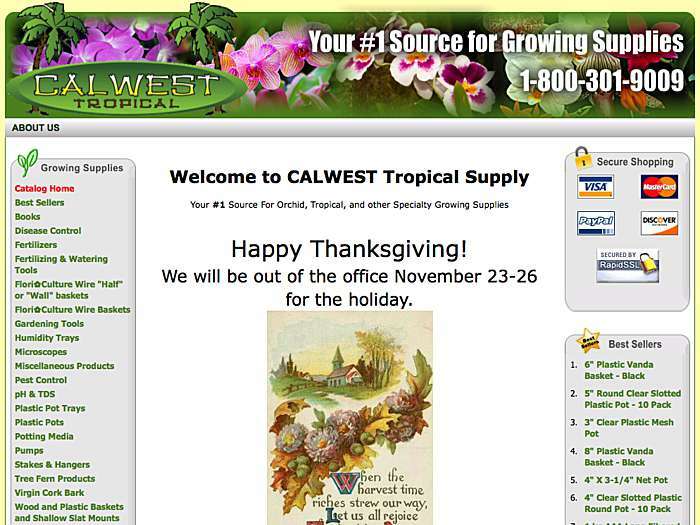 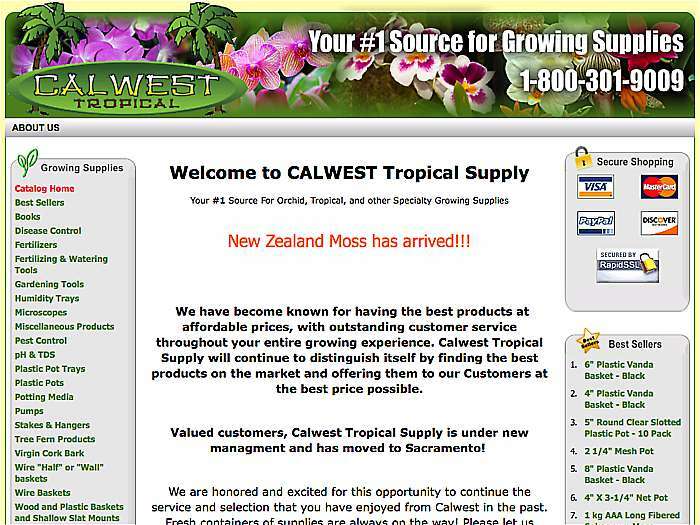 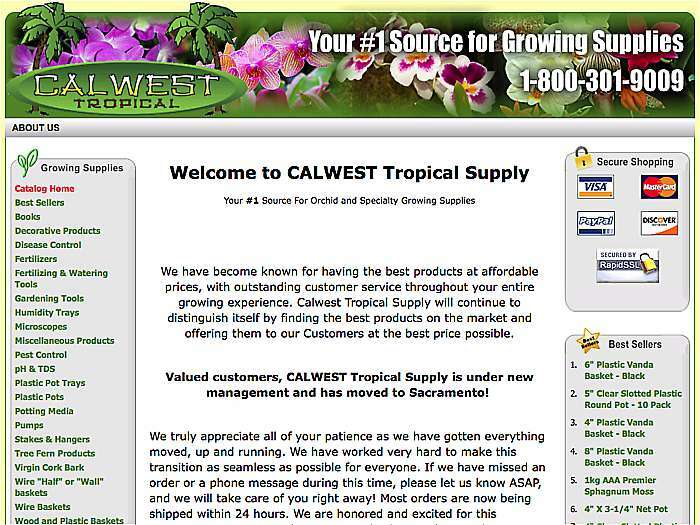 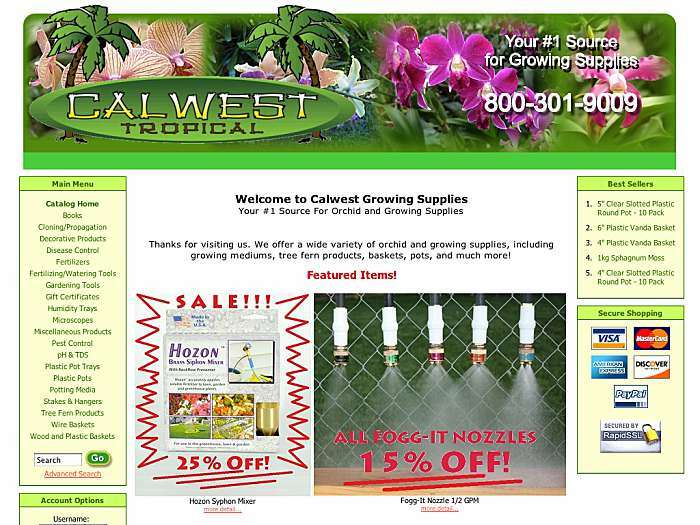 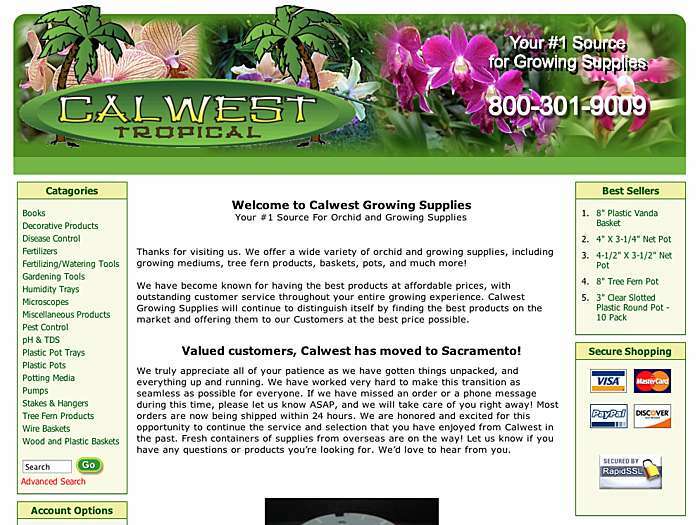 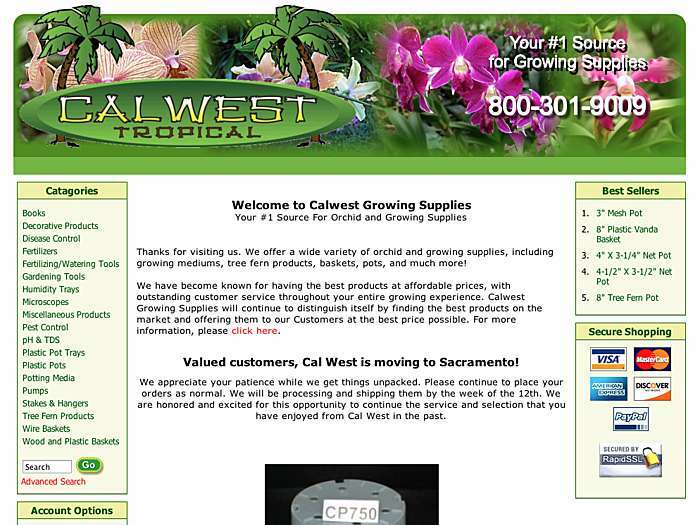 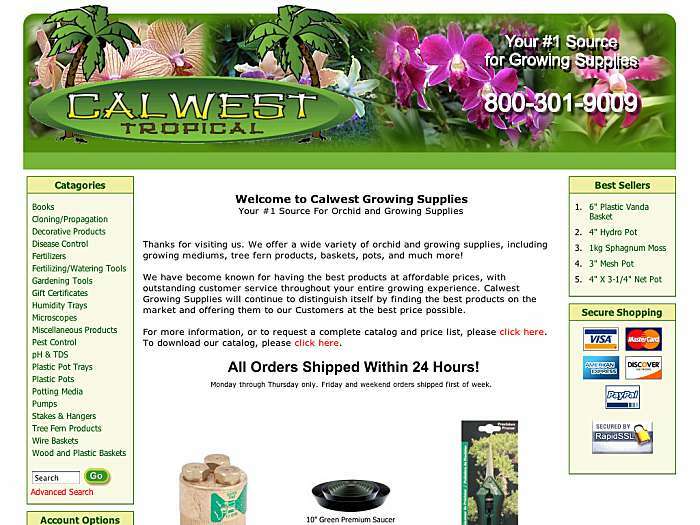 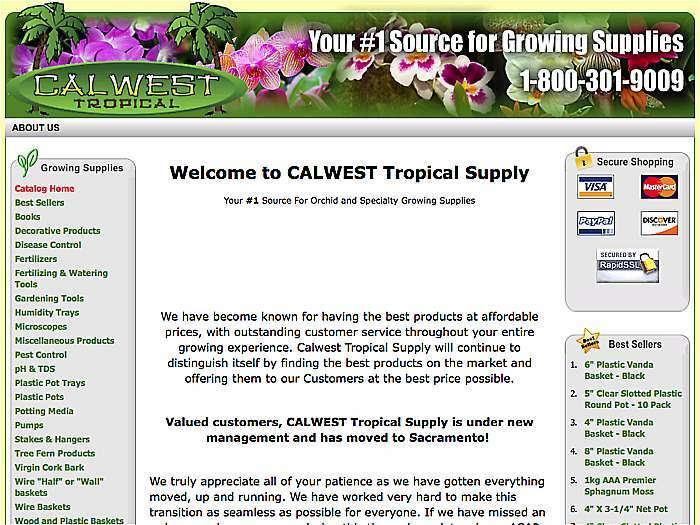 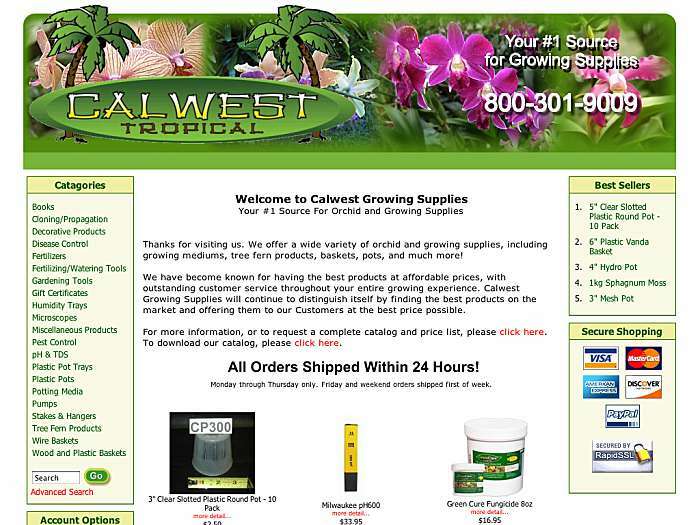 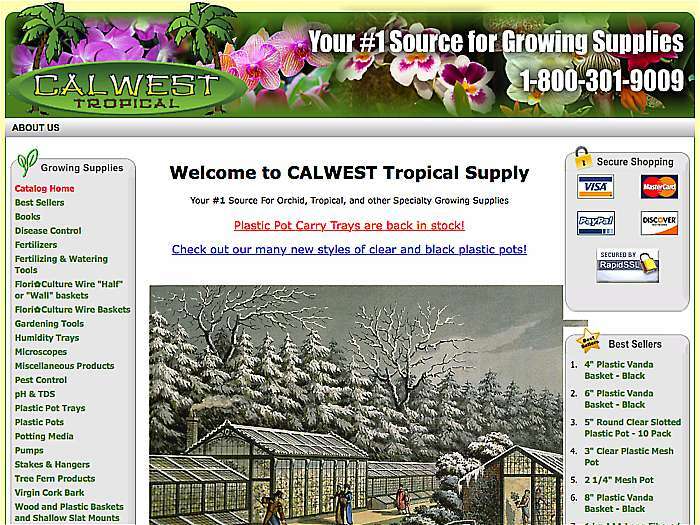 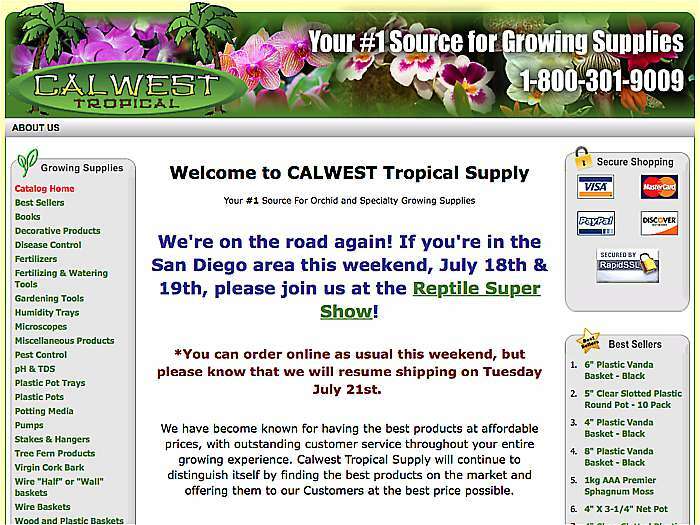 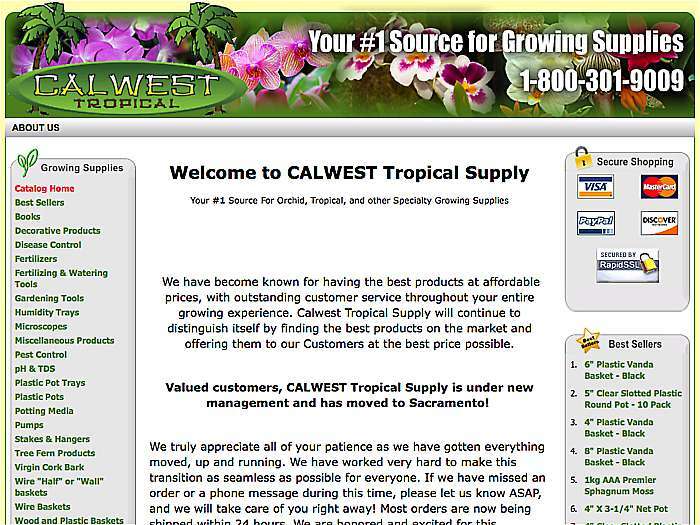 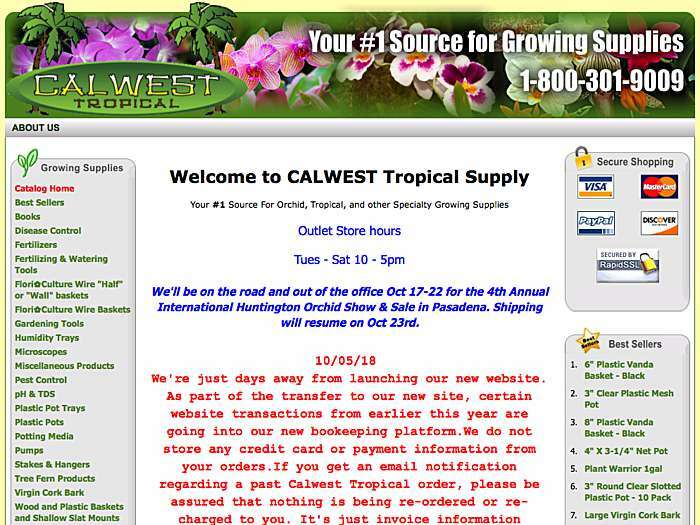 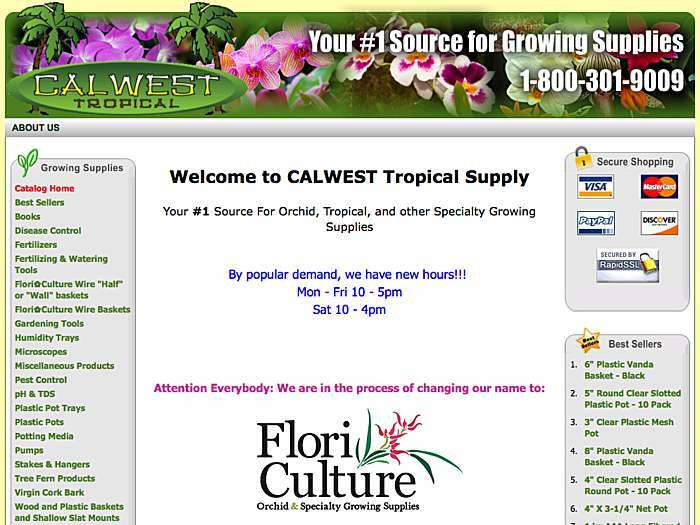 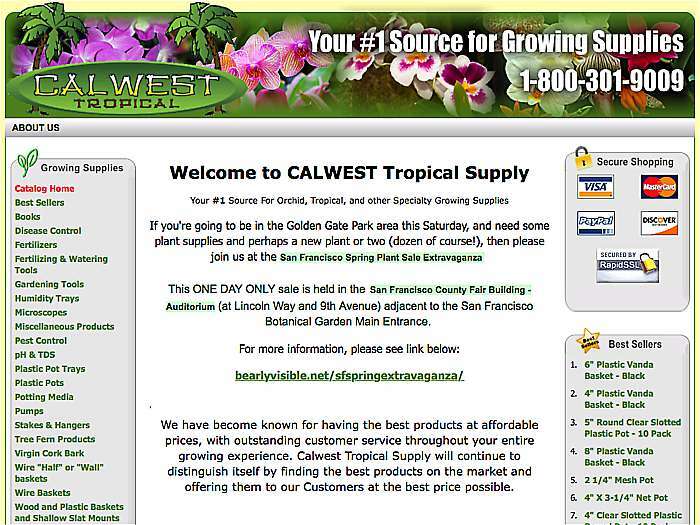 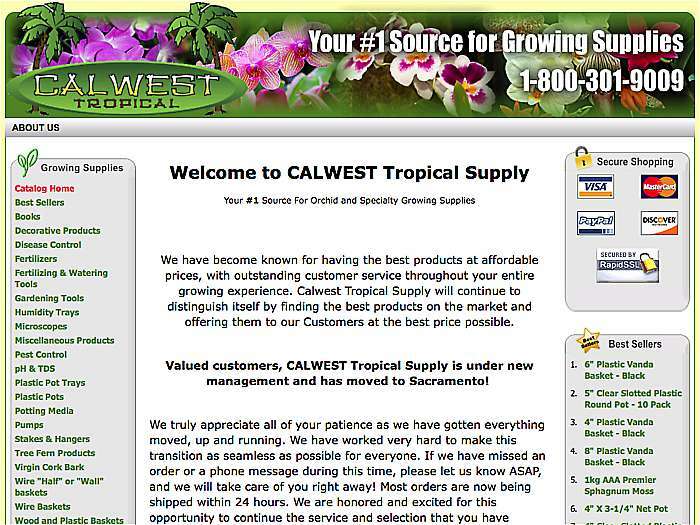 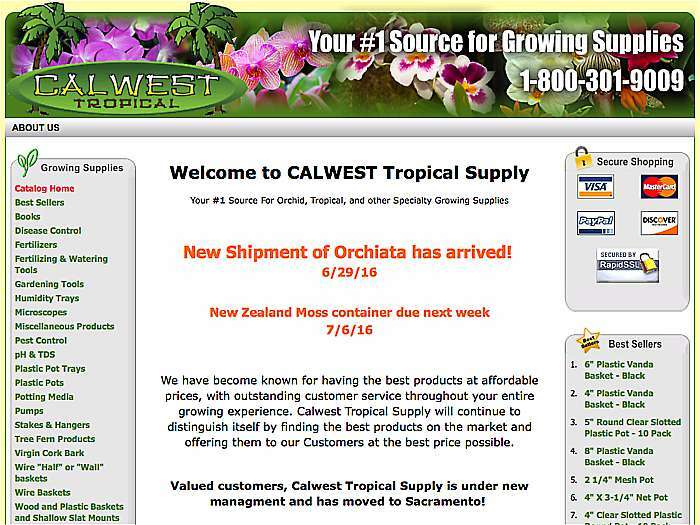 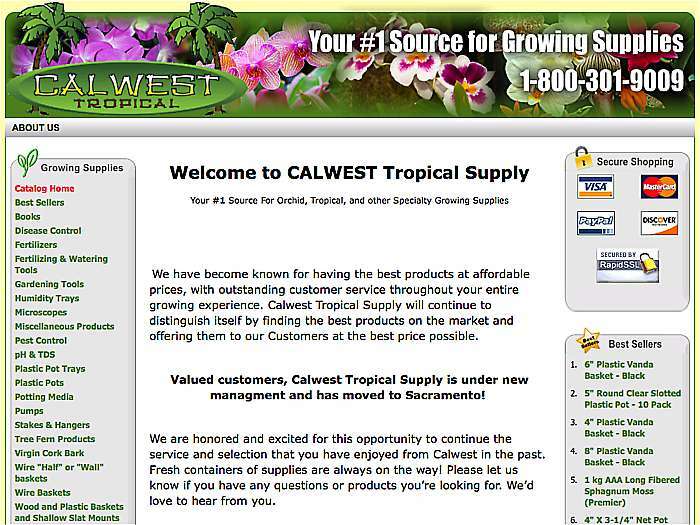 Formerly known as Calwest Tropical Supply. 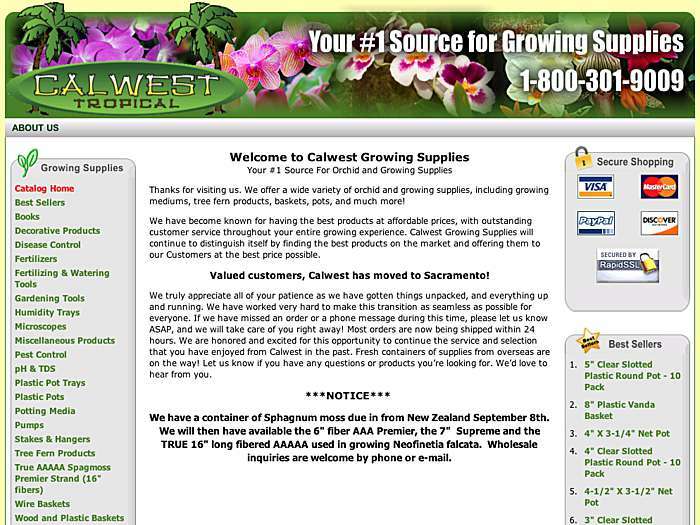 Carmichael, California, USA.